Explaining why you need to go to the bathroom has to be one of the most awkward social moments. 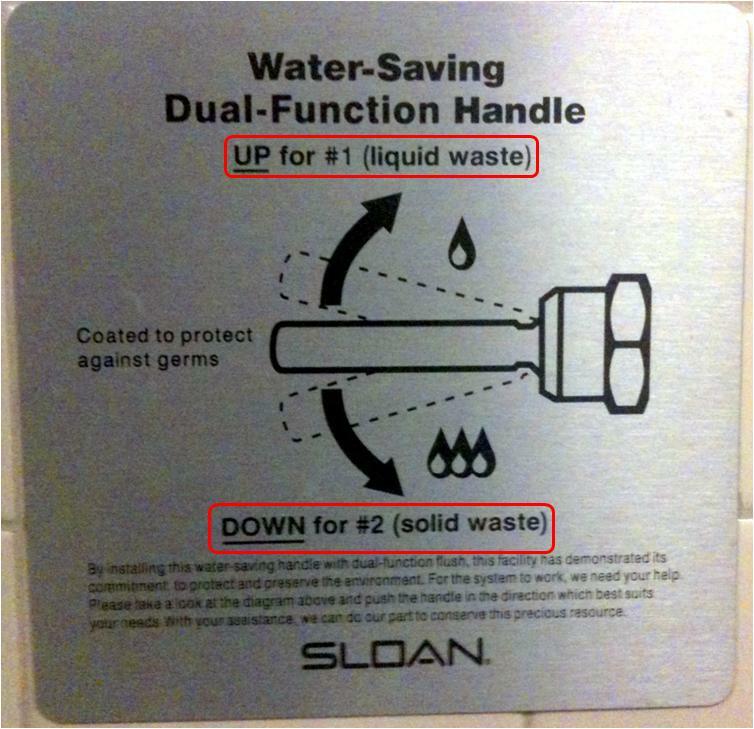 So to overcome this, someone, somewhere, came up with the idea that liquid waste shall be called #1 and solid waste shall be called #2. I would guess that the #1 and #2 code is now pretty universally known around the world, and that is why this instruction panel for a toilet flush at LAX airport made me smile. Toilet Flush Instructions - LAX Airport. #1 or #2? Given that I have spent a lot of time client side, I am going to make the informed guess that the text in brackets (liquid waste) and (solid waste) was added by a member of the product or legal team, because 1% of people might not get the whole #1/#2 code and not how to flush. Surely they could figure it out themselves? 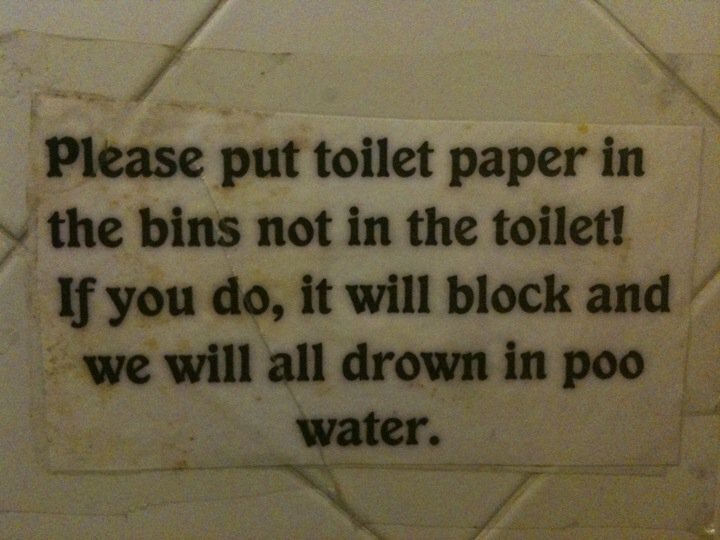 Although it does remind me of a sign I saw in a Colombian hostel I visited.